Like many four wheel drive owners you probably carry a high lift jack or have one in the shed but most modern vehicles don’t actually have any lifting points suitable for these useful tools. Some brands of front (and rear) aftermarket bars have a built in slot or opening for high lifts and there are several different hooks available too, to lift at designated points so all is not lost for the genuine HiLift and its many clones. On the topic of HiLift clones there are many different companies selling these 1200mm and 1500mm high jacks and only recently there was a number of recalls as many did not meet the requirements of Australian Standards. 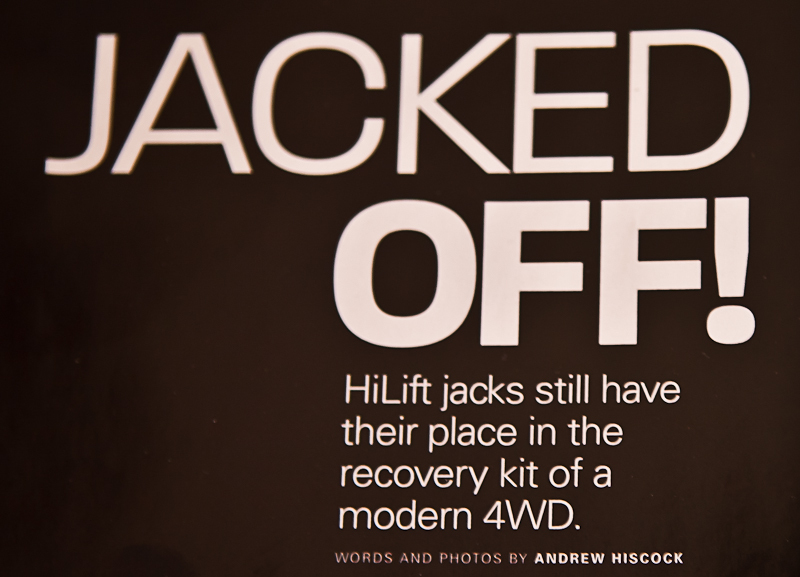 In this article we are using and talking about the HiLift brand of jack and using genuine HiLift accessories. So you have a HiLift jack but rarely bother carrying it or using it these days? With the advent of exhaust jacks and plastic bumpered four wheel drives the HiLift seems to have fallen from favour as one of the offroad accessories of choice. This lack of suitable lift points, combined with a fear of damaging shiny metallic panels, means that the HiLift needs new ways to earn its place in your kit. In this review we are looking at two different very useful accessories that may encourage you to give that HiLift a second chance. Ever been in a situation where your vehicle has hung up on an obstacle? Maybe the ramp over angle of your four wheel drive wasn’t quite enough? All alone and don’t fancy hours of digging or building a ramp under the wheels from small rocks? If you’ve ever needed to just winch a vehicle forwards, backwards or sideways for half a metre or maybe a couple of metres then the HiLift winching kit may be for you. Using a length of chain, a couple of shackles and some winch straps it is possible to use your HiLift as a winch without the need for this kit. However…. this kit makes winching easier, safer and faster. It enables tension to be maintained in the rigging when winching any further than about 300mm, as most of the stroke length of the jack is used up just pulling everything tight, and negates the need to chock wheels, etc. Trust me on this as I’ve winched a few times using a HiLift without this kit and it’s frustrating and slow. The HiLift winch kit is compact but heavy and contains the brackets, short chains, hooks, a shackle and a pair of gloves all of which fits in a handy carry bag. As with any new accessory it’s essential to assemble and practice using this at home. There is some pre-assembly required with this kit so do it in the comfort of your garage or driveway. At the same time give your HiLift some TLC with a good clean and a thorough oiling. There’s a reason for that can of CRC in the photos – HiLift jacks love a thorough dose of lubricant before each use and won’t function properly without it. 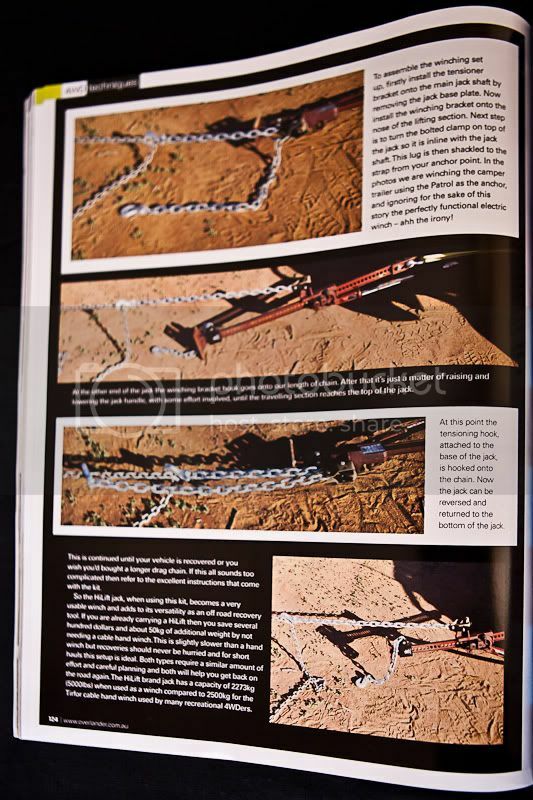 As well as needing the jack and the winch kit you will also need a length of 10mm chain (five to six metres is enough) for the winch kit to “climb” along and either a second chain or a webbing strap to attach the jack to the vehicle. The kit comes with a yellow webbing strap for this, as used in the testing, however most of us own a tree trunk protector strap that would be more substantial than the one supplied. This supplied strap is rated for 2273kg (5000lbs) to match the capacity of the jack. As conveniently located anchor points are rarely found it’s also advisable to carry a 20m or 30m winch extension strap (do you ever wonder if the reason we get bogged is the weight of all of that recovery gear?) or a longer length of chain. 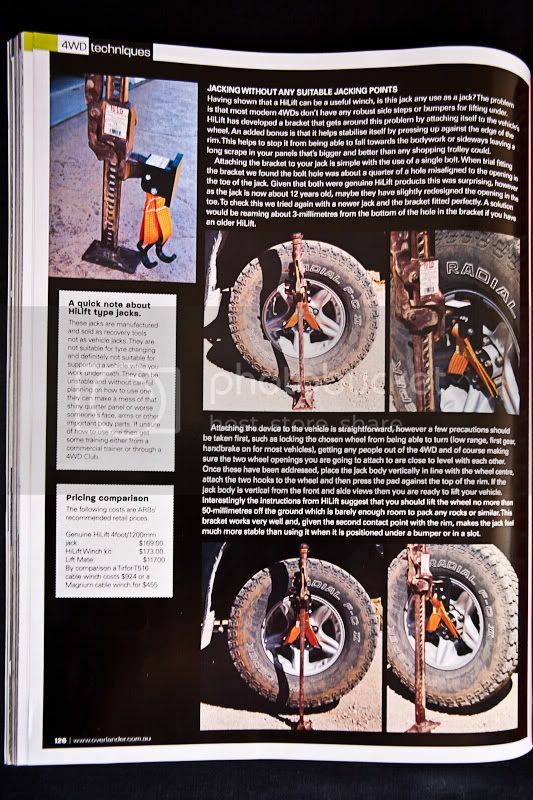 Once a suitable anchor point has been found (a substantial tree, another vehicle or a ground anchor) and proper recovery attachment points identified on the front or back of your four wheel drive you can begin to assemble the kit. Prior to any winching, or other recovery technique, ensure that your safety and the safety of others has been considered. Now take any steps to assist the recovery like digging, obstacle removal and tyre deflation or inflation. To assemble the winching set up firstly install the tensioner bracket onto the main jack shaft by removing the jack base plate. Now install the winching bracket onto the nose of the lifting section. Next step is to turn the bolted clamp on top of the jack so its inline with the jack shaft. This lug is then shackled to the strap from your anchor point. In the photos we are winching the camper trailer using the Patrol as the anchor, and ignoring for the sake of this story the perfectly functional electric winch – ahh the irony! At the other end of the jack the winching bracket hook goes onto our length of chain. After that it’s just a matter of raising and lowering the jack handle, with some effort involved, until the travelling section reaches the top of the jack. At this point the tensioning hook, attached to the base of the jack, is hooked onto the chain. Now the jack can be reversed and returned to the bottom of the jack. This is continued until your vehicle is recovered or you wish you’d bought a longer drag chain. If this all sounds too complicated then refer to the excellent instructions that come with the kit. So the HiLift jack, when using this kit, becomes a very usable winch and adds to its versatility as an offroad recovery tool. If you are already carrying a HiLift then you save several hundred dollars and about 50kg of additional weight by not needing a cable hand winch. This is slightly slower than a hand winch but recoveries should never be hurried and for short hauls this setup is ideal. Both types require a similar amount of effort and careful planning and both will help you get back on the road again. The HiLift brand jack has a capacity of 2273kg (5000lbs) when used as a winch compared to 2500kg for the Tirfor cable hand winch used by many recreational four wheel drivers. Having shown that a HiLift can be a useful winch, is this jack any use as a……jack? 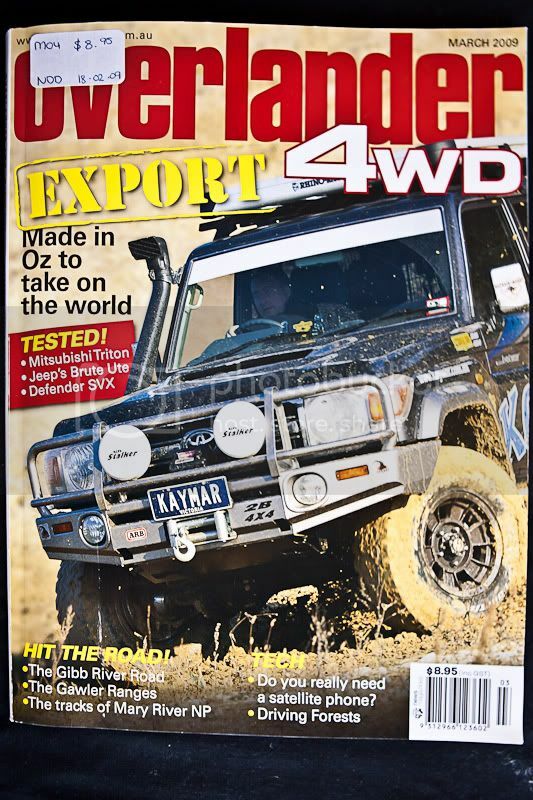 The problem is that most modern four wheel drives don’t have any robust side steps or bumpers for lifting under. HiLift have developed a bracket that gets around this problem by attaching itself to the vehicles wheel. As an added bonus it helps stabilise itself by pressing up against the edge of the rim. This helps to stop it from being able to fall towards the bodywork or sideways leaving a long scrape in your panels that’s bigger and better than any shopping trolley could. Attaching the bracket to your jack is simple with the use of a single bolt. When trial fitting the bracket we found the bolt hole was about a quarter of a hole misaligned to the opening in the toe of the jack. Given that both were genuine HiLift products this was surprising however, as the jack is now about 12 years old, maybe they have slightly redesigned the opening in the toe. To check this we tried again with a newer jack and the bracket fitted perfectly. A solution would be reaming about 3mm from the bottom of the hole in the bracket if you have an older HiLift. Attaching the device to the vehicle is straight forward however a few precautions should be taken first, such as locking the chosen wheel from being able to turn (low range, first gear, handbrake on for most vehicles), getting any people out of the four wheel drive and of course making sure the two wheel openings you are going to attach too are close to level with each other. Once these have been addressed line the jack body vertically in line with the wheel centre, attach the two hooks to the wheel and then press the pad against the top of the rim. If the jack body is vertical from the front and side views then you are ready to lift your vehicle. Interestingly the instructions from HiLift suggest that you should lift the wheel no more than 50mm off the ground which is barely enough room to pack any rocks or similar. This bracket works very well and, given the second contact point with the rim, makes the jack feel much more stable than using when used under a bumper or in a slot. A quick note about HiLift type jacks. These jacks are manufactured and sold as recovery tools not as vehicle jacks. They are not suitable for tyre changing and definitely not suitable for supporting a vehicle while you work underneath. They can be unstable and without careful planning on how to use one they can make a mess of that shiny quarter panel or worse someones face, arms or other important body parts. 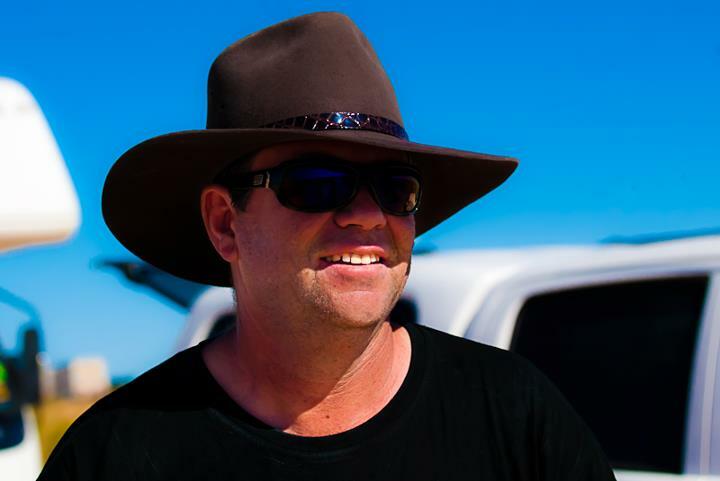 If unsure of how to use one then get some training either from a commercial trainer or through a four wheel drive Club.